What is this tower for? I don't understand why it is there... I think ..
where do you find the dowsing machine? where do you get the dowsing machine from? i have talked to everyone i..
where can i buy/find evolution stones..? I want some of my Pokemon to evolve and the only way to do so is by tr..
where do you find the silver wing and the master ball? Every time I go to the whirl island#3 the monk says he will let me thr..
how do i get all the gym leaders phone numbers? Ok I've looked everywhere but I can't find the gym leaders numbers I h.. This is a straight walkthrough for Pokemon Soul Silver. 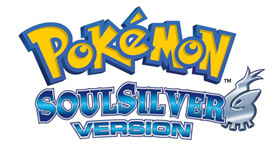 It will guide you on the path through Soul Silver and give you tips and tricks for all the b.. The meatorites ar only there to change Deoxys form. To get deoxys you need to either get it in a trade (look in the trade forum), an event like the Space Center Deoxys or if you have a specific event item in Sapphire, Ruby or Emerald. You can't catch Deoxys in HG/SS. You must have the Event one, get one fron the GTS, or make one using Pokesav. Sorry, but it's impossible to catch Deoxys on SoulSilver. But there are 3 ways to get it. 1. Get someone to trade it to you. 2. Get it from a special link distibution. 3. Get something like an Action Replay code. Your best bet at this would be, as said before, to go to the Pokemon Trading Forum. There, many people have shops, some of which contain a Deoxys they're willing to trade for almost nothing in return. The forum can be found here . All the best luck in getting it. then ask to go to the machine there go to mystery gift scroll and look for wat u want i tink so there ya go! happy? does it work in 2017? You have to go to Mt.Moon at Monday night it worked for me. going there on monday night does not work because i did it and all i got was a stupid magikarp. you need to check your thereys. I saw the clefairys and the moon reflexion but nothing happened! i really want to know how to get to the trade forum.please tell us. Well if you ask me the ones that say claifairy dance at the lake on monday night are telling the truth but they also are saying part truth and part lie because the only thing I got was a moon stone droped by claifairy so then I surf on the moon relect it did not have a deoxys but a pollywag s you guys are liers stop lieing it is annoying also after I surfed I went in a cave and went back out it was not there the song was back to normal and when I logged off to re-change the time the clairfairy werent there so my susppections say that you can only do it once but since I have a claifairy I think that if I use my new moon stone on it there might be a chance of it evolving into a deoxys so it's just my geuss if you can evolv claifairy into deoxys so don't get mad if it does not work bye. I have a lv. 100 dioxys and i will trade it for an any level arceus. You can't find deoxys in HG/SS you have to get him with an event which is over I think. Do you need the action replay for this? Meh. Go buy FireRed. Only real way, because event's gone. GO TO MT. MOON AT MONDAY AT MIDNIGHT AND ALOT CLEFAIRYS WILL APPEAR.MOVE TO THE CLEFAIRYS WIIL RUN.THE MOON WILL REFLECT ON THE POND.DEOXYS WILL NOT APPEAR!! YOU WILL GET A MOON STONE AND PRETTY MUCH THATS IT.DEOXYS WILL APPEAR THE NEXT NIGHT IF you TRASH THE MOON STONE IN THE POND. how do you mean trash it in the pond? L am so so so sory but l don't now how to l was hoping you people now. what if you have 990 moon stones already? To catch him you need to catch latios soulsilver or latias heartgold and the you give Kurt a yello Apricorn and he gives you a moon ball. Then go to mount moon on kanto region at midnight and he he should be their. Hopes this helps. I saw the moon beam you can't get deoxys, a clefairy drops a moon stone then that's it nothing else happens. how to defeat clair the blackthorn gym leader I have ..
Action replay soul silver not working? I just got my ..
Where is my rival? After you beat ure rival in mt moo..
Embedded Tower? What is this tower for? I don't under..
How do you get the 8th gym badge? I beat Clair but sh..
Where are the places you see Suicune?